St Buryan church organ was built by the Truro firm of Heard and Sons in 1901. The manual action is tracker with mechanical drawstops and the pedals pneumatic. It is certainly one of their best instruments. The construction is very solid and the beautiful pipework was made and voiced in house. There is one rank in the instrument, the Swell Principal or Gemshorn, that is signed by their voicer William J Brewer 1895. Heard took over the firm of Brewer in 1894. It is a matter of conjecture whether the instrument was built as a complete instrument in 1901 or added to very early in its life time but is certainly all by Heard being very typical of their house style. The Plymouth firm of Hele & Co cleaned the instrument in the 1920`s and in 1962 carried out a major restoration including replacing the pedalboard and improving the pedal pneumatic action. The Discus electric blower was added in 1948. The instrument was cleaned and overhauled in 1991 by Lance Foy of Truro. A Fifteenth was added on a spare slide on the swell, the Clarinet revoiced and a balanced swell fitted in place of a trigger pedal. The organ was originally paid for by Mr James Hawke Dennis the brother-in-law of the Rector at the time, Revd Richard James Martyn. Mr Hawke Dennis also gave a large sum of money towards the construction of one of the Towers of Truro Cathedral and in 1901, on the accession to the throne of King Edward VII, paid for a new Tenor bell for St Buryan church and the re-hanging of the Treble, 2nd and 3rd bells. The St Buryan organ is as good as any church organ in the area. 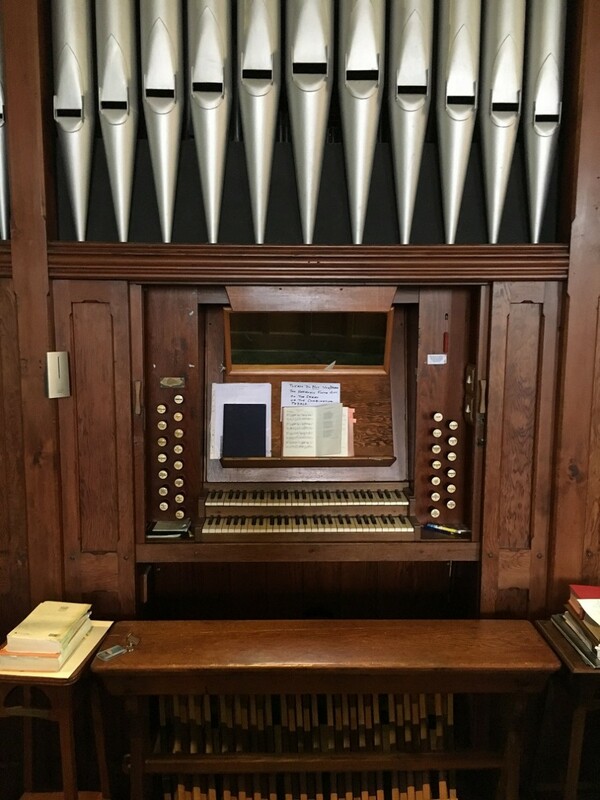 One of the most impressive stops to find in a village church organ is the Pedal Open Diapason - a very large wooden stop which can be seen on the right-hand side of the organ. Acknowledgement is due to John Berry and Lance Foy.